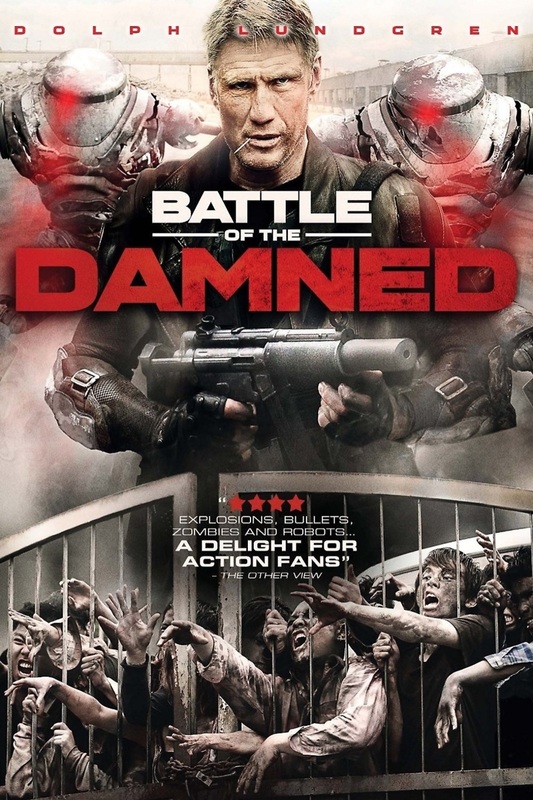 Battle of the Damned DVD and Blu-ray release date was set for February 18, 2014. A group of hired soldiers are sent into a zombie infested city to save the daughter of a rich industrialist. Once inside the city, the mercenaries discover the daughter is living with a group of survivors in a type of safe house. She is also in love with one of the other survivors and refuses to leave the group. Max, the mercenary leader, attempts to bring the daughter by force, but he fails. The daughter's lover discovers the girl is pregnant with his child. He attempts to help force her to safety, but another zombie attack prevents their progress. The survivors soon discover the rich daughter's father actually caused the zombie infestation. Suddenly, the city is firebombed and only Max, the daughter, and her lover remain. The three safely exit the city.